Hello Jesso: Who needs Polyfilla, when you have these! Who needs Polyfilla, when you have these! If you read my post entitled I'm Scared you would have seen Tyra Banks reveal her beauty secret - Vaseline. Now I thought I would just share, not so much my beauty secrets but more my S.O.S kit..can't go wrong with these. 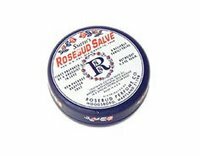 1) Smith's Rosebud Salve. Great on lips, blemishes, chapped skin or slicked over the eyelid for a nice dewy look. (Easy on the application, you don't want your eyes to look like they are weeping gunk... think Natalie Imbruglia eyes) In it's neat little tin, it goes everywhere with me and it lasts ages. You really can't mess with something that has been around since the 1892!! 2) MAC Skin Prep + Prime. Lightweight formula that glides on to your skin and helps your foundation go on a lot smoother. It fills in any fine lines you may have and blots away any last bit of oil on your face resulting in smooth, even and flawless looking skin. What did I do or look like before Prep+Prime? 3) Benefit F.Y..Eye!. 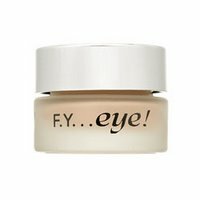 If you want to stop your eyeshadow from going on an expedition across your eyelid and congregating in the crease, then this is the product for you. Apply a light, thin layer to your eyelid which will give your eyeshadow something to hold onto and prevent it from sliding all over the place. Perfect. Again, this product lasts ages. Well I could keep going...but I'll leave you with these essentials for now. I will introduce you to the rest of my make up bag or face painting kit at a later date.